From left, Jewel of Africa lapidary consultant directors Rashmi and Rajnish Sharma at the auction of Kagem emeralds in Lusaka. Kagem Mining celebrated the first successful sale of high quality emeralds to a Zambian buyer at its auction in Lusaka last week. Leading Lusaka-based jewellery manufacturer and retailer Jewel of Africa successfully bid for a parcel of gemstones for an undisclosed price during the 26th auction held since Kagem began a formal auction process in 2009. The landmark purchase by the Zambian family-owned jewellers managed by brother-and-sister partnership Dr Rajnish Sharma and Rashmi Sharma creates a fully Zambian value chain, from the Kagem mine in Lufwanyama, to cutting, polishing and crafting of top end jewellery. Lufwanyama’s Kagem mine is the world’s single largest producing emerald mine and is owned 75 per cent by London-based Gemfields in partnership with the Zambian government. “This is an exciting week for Jewel of Africa and for the Zambian gemstone sector as a whole. Our successful bid for one of the parcels of high-quality Kagem emeralds means that discerning jewellery buyers will be able to buy a truly Zambian piece of emerald jewellery, fully assured that it was responsibly mined at Kagem, cut and polished in Zambia, and hand-crafted into jewellery by experts in Zambia,” said Dr Sharma. Jewel of Africa was one of 36 companies from around the world participating in the auction. All the emeralds on offer were sold at the auction. “Congratulations to Jewel of Africa. Their successful bid consolidates Zambia’s position as one of the world’s leading centres for emerald mining and production, and reinforces the beauty, rarity and value of the nation’s gemstones,” said Gemfields chief executive officer Sean Gilbertson, who stressed that the proceeds of the auction would be fully repatriated to Kagem in Zambia, with all royalties due to the Zambian Government paid on the full sales prices achieved at the auction. In a further move, Kagem arranged for the Jewel of Africa’s winning lot to be the first in the world to be infused commercially with a new nano-technology system to tag and trace emeralds back to their mine of origin. The breakthrough nanotechnology, invented by Swiss gemstone laboratory Gübelin Gem Lab under the “Provenance Proof” label, leaves no visible trace and uses customised synthetic DNA-based nano-particles that are infused by gentle rocking into the rough emerald crystals, enabling traceability of emeralds back to the mine of origin, the date of mining and any other data requested. 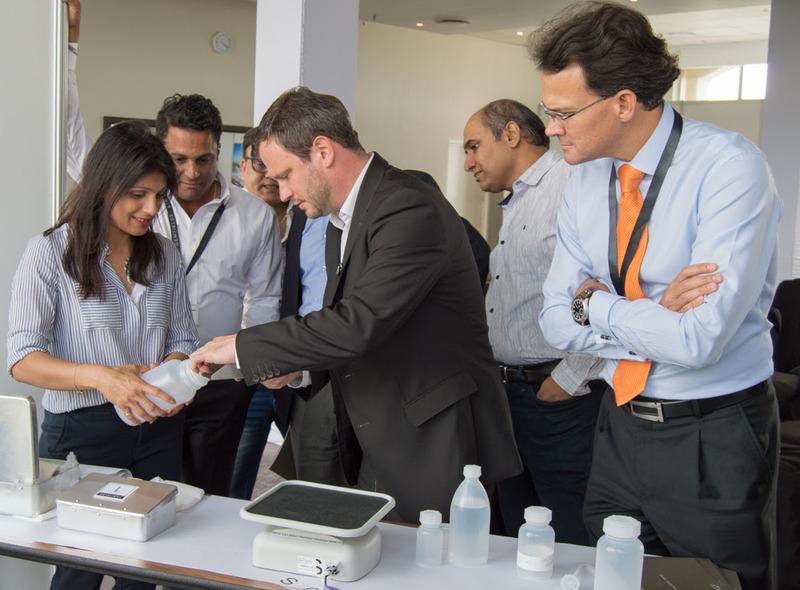 From left, Jewel of Africa directors Rashmi and Rajnish Sharma help Gübelin Gem Lab Head of Development Klemens Link to apply the nano-technology to their Kagem emeralds, watched by Gemfields Chief Executive officer Sean Gilbertson. First photo caption … the black guy is invisible? Who is he? Let me have your phone nr.I tell you who it is. everywhere you go or look, the social hierachy is the same. white on top then all the other intermediate races after, then blacks bottom. why is this the case everywhere you go. there is no exception. do you see a pattern and do you know why that is? Botswana has made the gem business a success in their country, whereas Zambia is truelly a backward nation of IQ in decimal places starting at 0.0001 – we are truelly a cursed nation! How have we failed to manage this sector??? Instead we have these chaps from India!! May God judge us accordingly! all this time kansi we dont even buy emeralds? 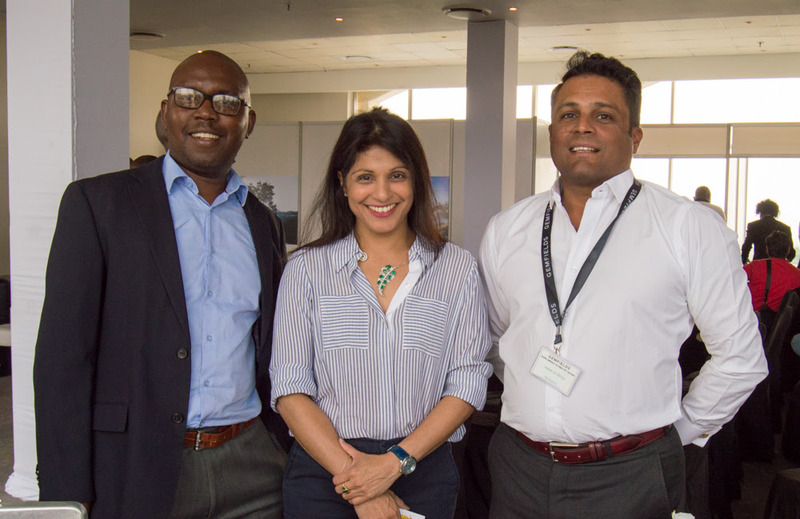 that dullness at its best..
“From left, Jewel of Africa lapidary consultant directors Rashmi and Rajnish Sharma”…. Is the black dude invisible????? @ Arms folded. Do you know the name of the lapidary consultant? Inga the black dude is who? What? The Zambian Emerald is being bought buy a Zambian for the first time after 53 years after independence? Something is terribly wrong! I think we need to get the mine back! I am feel ashamed..it will a 10 years in regards to copper…imagine exporting copper pipes straight to Europe from Zambian manufacturer. God: What can I do for you my white son? White son: Give me the knowledge to invent and discover things. God: What can I do for you my yellow-brown son? Yellow-brown son: Give me the knowledge to buy and sell what my brother discovers and invents. God: You have it son. God: What can I do for you my dark-skinned son? Dark-skinned son: I have just escorted these two. funny as hell, but still flawed. God: You,my dark skinned son have not said anything. what can i do for you. Dark-skinned son: I have been blessed with the land of plenty, i dont need anymore. God: Because of your humility,i give to you all the gifts of your brothers and my wisdom which will unlock only when you start to love yourself more. @The Saint – Wrong again…this is what happens when you are brainwashed with religion. . ..you erase your own history of greatness.